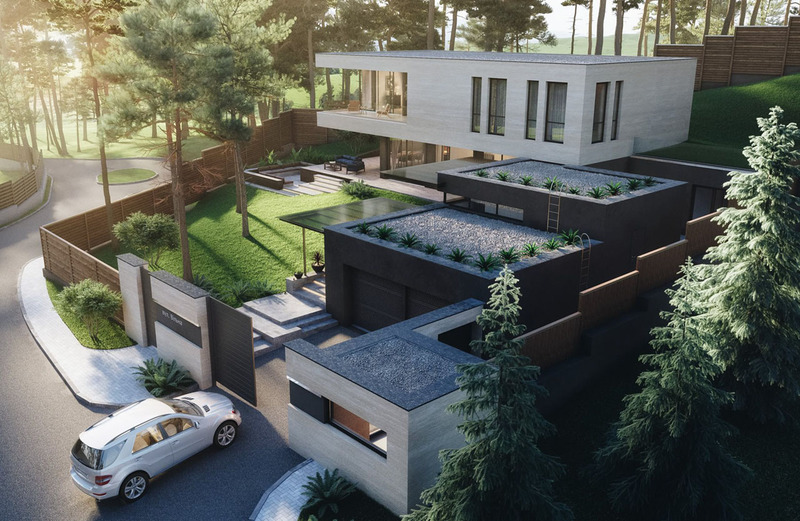 This beautiful modern home in Kiev, Ukraine designed by architecture studio BAUST is located at the top of the hill with view of the small river. 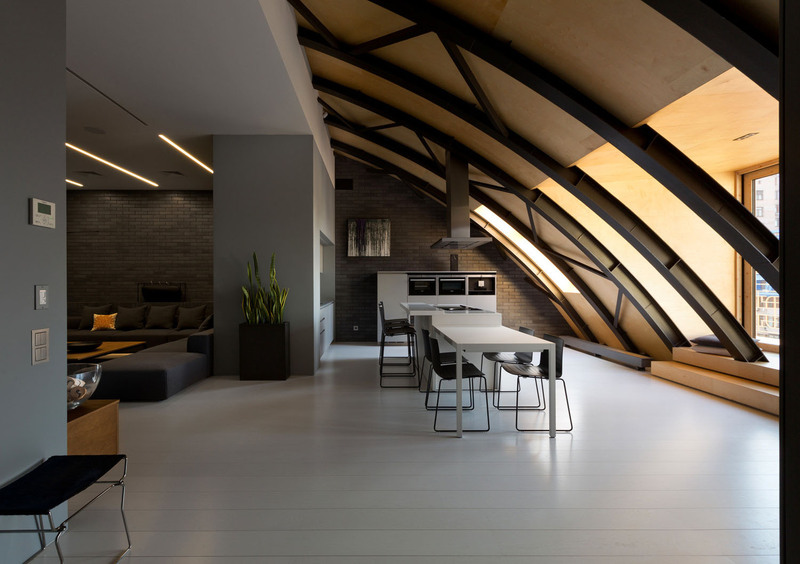 This modern loft apartment in Kiev, Ukraine used to be a non-residential space with steel beam arc structure. It has been converted into a stylish loft by ArhObraz. This unique apartment in Kharkiv, Ukraine has two floors that are connected by a slide, adding an element of fun to the spacious home. Architect Rina Lovko redesigned this unique apartment with a total area of 120 sqm (1,292 sq. ft.) in Kiev, Ukraine using bright accents to highlight the sophisticated contemporary decor. Architect Sergey Makhno created a functional and unique space in Kiev, Ukraine using the concept of a room organized in a train compartment ­like style. 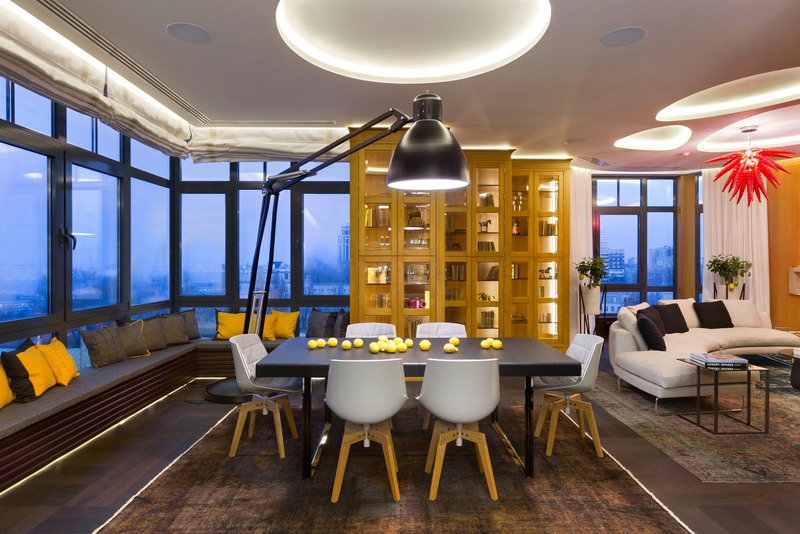 This smart penthouse in Kiev, Ukraine is a stylishly masculine apartment designed by Olha Akulova Design for a bachelor. 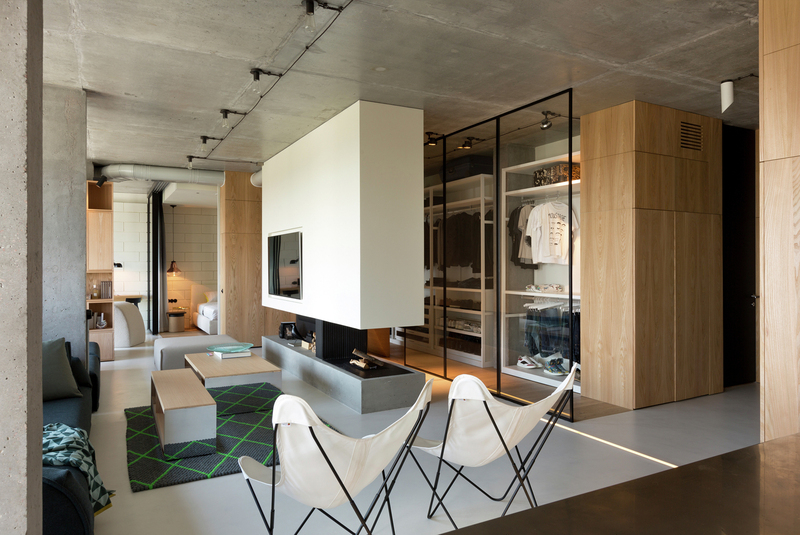 Wood, glass and concrete are the main materials used to create this modern city party pad. This stylish modern apartment in Kiev, Ukraine designed by Baraban enjoys panoramic views of the city. An interesting art piece in the form of a fireplace which also doubles as a wine storage cabinet sits at the centre of the apartment. 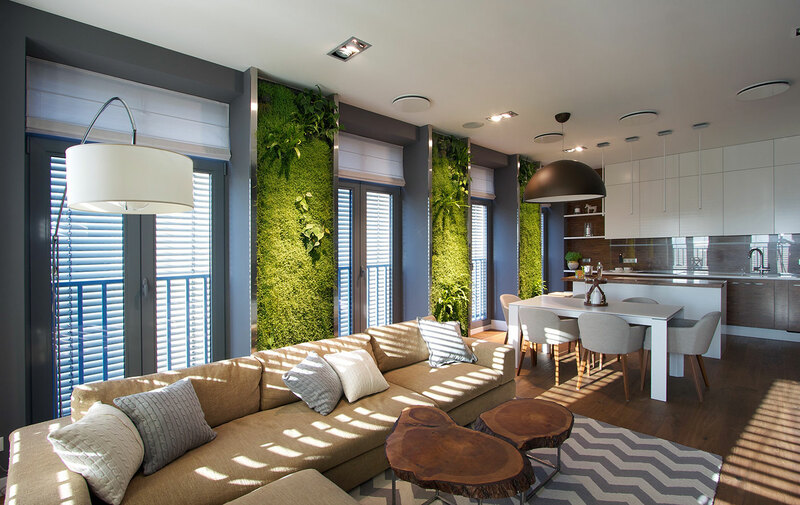 Amazing vertical wall gardens of this stylish apartment in Dnipropetrovsk, Ukraine create a spring oasis inside this urban space. 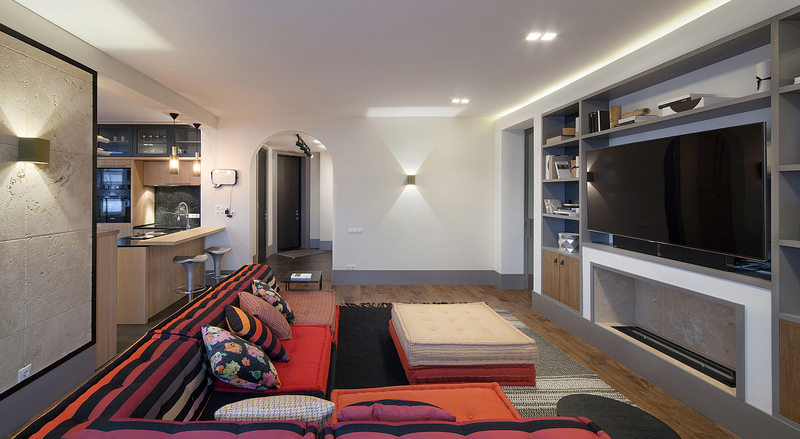 The cozy apartment designed by SVOYA Studio has a spring color palette and eclectic decor.